Becoming a Bar or Bat Mitzvah is a wonderful milestone in a young person's life. It marks the transition to adulthood in the eyes of the community. Our commitment to the education, training and grounding our students in our faith and our heritage is paramount. After many years of immersion in our school, our students feel at home in their Judaism, and find their sense of Jewishness to be a natural and integral part of their identity. As the vital center of Jewish synagogue life here in the Poconos, we take Jewish education seriously. Typical requirements for our Bar and Bat Mitzvah students ("B'nai Mitzvah" in the plural form) include fluency in Hebrew reading, several years (generally at least five years of study) in our Hebrew School where children have the benefits of a holistic general Jewish education and the opportunity to build relationships with other children in a specifically Jewish context and milieu, as well as a HESED PROJECT. After discussing with the Rabbi, the student will choose an ongoing mitzvah project emphasizing HESED, or kindness. This may involve ongoing visits to a senior living center, a hospital project or being a volunteer at our local animal shelter. Please see the Rabbi if you have a special project you have in mind. The student will prepare with the rabbi, meeting for weekly lessons beginning at age 11. Lessons cannot begin until a date has been selected and approved. In addition, regular attendance in our Shabbat services in the preceding six months is required in order to develop a knowledge, familiarity and comfort level with the dynamics of our worship service, of which he/she will play an intrinsic part. Otherwise the child may just be "a stranger in a strange land," to quote Tevya from Fiddler on the Roof. The child and his family must attend Sabbath morning services at least twice per month - a Friday night service and a Saturday morning service - beginning six months prior to the date of the celebration. Any areas of the above which may prove problematic in the context of your personal situation need to be discussed far in advance with the Rabbi. Beyond the minimum basic blessings over the Torah, our students are expected to strive to do as much as possible, given their abilities and time constraints. Our students all learn to chant the Haftarah portion (prophetic reading) corresponding to the date of their Bar Mitzvah. In addition they learn the trope, or cantillation, empowering their sense of ownership of the process. In terms of leading services, many have mastered elements of the Friday evening Kabbalat Shabbat service, the Saturday morning Shacharit, Torah and Musaf services. Everyone also gives a short Dvar Torah, a presentation on the teachings and concepts found in the week's Torah portion. They are also asked to do a Hesed Project, or ongoing act of kindness which signifies their newfound sense of maturity, humanity, responsibility and developing ethical sensitivity. Past Hesed Projects over the years have included work in animal shelters, raising money for selected charities, nursing home visits, food shelters, etc. In short, we hope to emphasize the mitzvah over the bar as priorities for our young people in the choices they make as they go through life. We encourage them to further their studies in Judaism by enrolling in our special teen classes. Emphasized are the ethics and values as taught through the ages through a Jewish prism and a Torah based world view. Lastly, in terms of the celebration following the Bar Mitzvah, the family is expected to sponsor a joint Kiddush for the congregation and guests following the service. We do not permit our regular worshippers to be shunted aside and treated as second class guests. If it were not for the regulars who attend each week there would not be a synagogue for your celebration! Please call Lucinda at the office 570-421-8781 for details. The family is asked to not schedule any parties until after the Sabbath is over so as not to ask guests to violate the Shabbat. The kiddush luncheon following the service is called the seudat mitzvah, the festive meal held in honor of the religious milestone, and is an intrinsic part of the celebration itself. Therefore, it is most proper to celebrate the occasion in the synagogue with a seudat mitzvah where the food will be kosher and the spirit of Shabbat will be observed. After all, aren't we celebrating the young person's entry into the world of observance of the mitzvot? In the traditional shtetlach, or Jewish villages in the old country, there was always a tradition on simchas - happy occasions, to feed the poor of the community, to allow them to both share in the mitzvah, as well as to offer the poor a modicum of nutrition, dignity and respect. In this spirit, there is a very respected organization called MAZON - meaning "sustenance," which aids and assists the family in donating a suggested 3% of one's costs for the celebration, as a gift to those Jews - and others - who live at the poverty level and are in constant need of support from the larger community. Following or preceding the day of the celebration, it is most appropriate to "show appreciation" to the Rabbi, just as one would for any life cycle event, be it a funeral, a wedding or an unveiling, for the many long hours of preparation in guiding your family through the process, from tutoring as well as reassuring the family, answering any and all questions, and last but not least, helping all your guests feel welcome and comfortable throughout the service in the synagogue. Adults, who for whatever reason never had the opportunity to have a Bar or Bat Mitzvah, can study with the Rabbi towards that end. Perhaps they were sent as children to the local nearby coal mines and were too busy to attend cheder. Or perhaps they were young girls who were reared in homes that only valued Jewish education for boys, or who felt it was inappropriate for girls to tread on what was traditionally considered a male purview. It's not too late for you! Special Shabbat mornings will be designated as opportunities for adult B'nai Mitzvah to belatedly celebrate their big day! After a course of study the Rabbi will work with you to determine your capabilities and possibilities. Lastly, there is a tradition that when people reach the age of 83 years, they should have a second Bar Mitzvah. Why? In the Bible man is promised a typical life span of 70 years. So at age 70 we start over, so to speak. Thus at age 83 we are ready to step up once again and declare to the whole world, "Today I am a man (or a woman)." MEANING OF THE TERM "BAR MITZVAH"
One of the most celebrated rites of passage in Jewish life is the Bar Mitzvah. Traditionally a ceremony only for boys, since 1922 it has now become a rite of passage for American girls as well, celebrating the passage from childhood into adulthood, and its attendant aspect of expected responsibility for the observance of the panoply of mitzwoth (commandments) found in the Torah. The meaning of the term "Bar Mitzvah" is widely misunderstood. First, it is an Aramaic term, not Hebrew. Bar literally means "son" and Mitzvah literally means "commandment." And so people usually translate the term literally as "son of the commandment." But as most literally interpreted things are false, this is no exception. It doesn't even make any sense when you read it literally. First of all, how can you be a son to a commandment? And why wouldn't a commandment also have daughters? And mitzvah is in the singular? Wouldn't it make more sense if it were written in the plural? There are so many commandments. I can think of at least ten! Which commandment are we talking about? Out of all 613 commandments we only pick one to observe? No, the term Bar Mitzvah is an expression of idiomatic Hebrew. It is a term of attachment or connection. There are many similar idiomatic variations of this concept. For example, the Jewish general of the second Judaean war against Rome (132-136 CE) was originally named Bar Koziba, the son of Koziba. But when Rabbi Akiva saw how charismatic and valiant a leader he was, he saw in him potential messianic qualities and so renamed him Bar Kochba, meaning "the lucky one," or the "mazeldik" one. Mazal means constellation in Hebrew. The ancient idea, upon which astrology is based, was that the particular quality of the constellation under which you were born would drip its unique energy upon you and would thus influence your character (the words "nasal" and "nozzle"in English, also come from the Hebrew word "mazal," reflecting this notion of dripping). It was said that an especially bright star would appear to herald the king messiah's birth. Rabbi Akiba then took an idiomatic expression and attached it to Bar Koziba's name so as to augment his messianic credentials. Bar Kochba literally means "son of a star." But it is understood idiomatically as meaning "a lucky person," or one whose good luck or fortune was validated or determined by association with a star at one's birth; hence "a lucky person." Being that he lost the war (he was betrayed by one of his followers- hmmm, seems to be a theme...), the only luck he seems to have had was that they named a disastrous war after him, as in "class, after whom was the "Bar Kochba Revolt" named?" Each generation it seems, including our own, has its annointed contender. Another example of a similarly idiomatic Hebrew phrase is the term "bar seichel," which means "an intelligent person." Seichel means intelligence. To be known as a Bar Seichel, meant that either you were particularly bright, or if uttered in sarcastic annoyance, meant that you were unusually stupid! So back to our Bar Mitzvah question. Mitzvah means "commandment." Since one only becomes obligated to observe the Torah's commandments upon reaching the age of majority, a Bar Mitzvah idiomatically refers to one "who is obligated," or one who takes on the obligations associated with the Torah's mitzvoth. According to tradition, at age 13 a boy could be counted towards inclusion in the quorum of ten adults for a minyan. The word minyan itself means "quorum," and comes from the word moneh (limnot in the infinitive), which means to count. In fact the word "money" in English comes from the same Hebrew word "moneh," as in "count the money." To signify this new change in status a boy would be "called up" to the Torah to have an aliyah and make the blessing over the Torah. 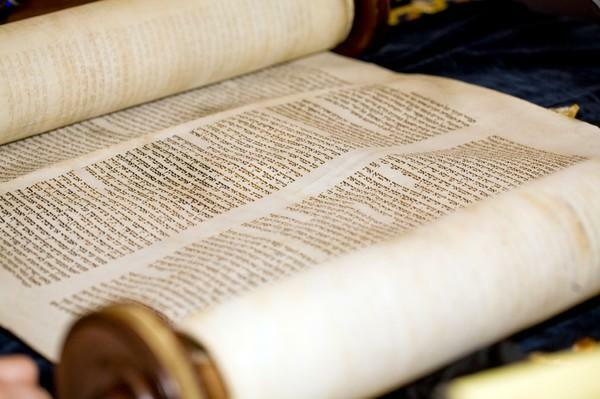 Thus, a Bar Mitzvah could take place at any service where the Torah is read. Aliyah means "ascent." To be called up to the Torah and to ascend the bimah is a spiritually uplifting act. This is similar to the act of moving to Israel, which is known as "making aliyah." As the Land of Israel, Eretz Yisrael, is imbued with the highest degree of sanctity, to move to The Land is emblematic of making a profound positive change in one's spiritual environment - an ascent, as it were. There is a slight change in pronounciation and usage between the two uses of the word "aliyah." To be called up to the Torah is called having an aleeeyah. But to move to Israel is called making aliyaaahhhh. Why the difference? The former is Yiddish. The latter is Hebrew. Until the 14th century no special ceremonial import was attached to the symbolic act of majority status, other than just having an aliyah. Possibly owing to the vagaries of European life in the age of the Black Death, the ceremony gained status as a celebration of life - of surviving the ravages of the plague, in addition to all the usual childhood diseases. This was no small feat, even without learning to master a Torah or Haftarah reading! Rabbi Mordechai Kaplan, an ordained Orthodox Rabbi who later went on to found the Reconstructionist Movement, which itself was an offshoot of the Conservative movement, ushered in the era of the Bat Mitzvah (Bas Mitzvah in Yiddish) when his own daughter, Judith, had the first Bat Mitzvah in 1922. 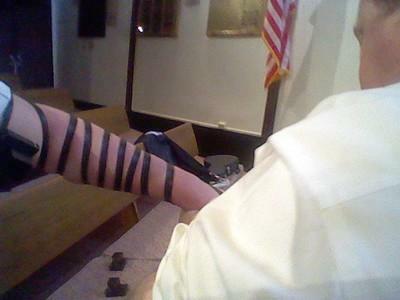 At first relegated to Friday night services only, the practice has grown exponentially in recent decades to the point where in some egalitarian synagogues girls chant from both the Torah and Haftarah readings, as well as lead portions of the Shabbat morning service, comparable to that of boys.